After the travesty that was the new free-to-play RollerCoaster Tycoon, Atari must have realised that there was indeed a market on mobile platforms for proper simulation games. Enter RollerCoaster Tycoon Classic, effectively a mash-up of the original RollerCoaster Tycoon and its sequel, and I - and anyone else who likes simulation games - could not be happier about having this on our iPads. RollerCoaster Tycoon is a genuine classic. 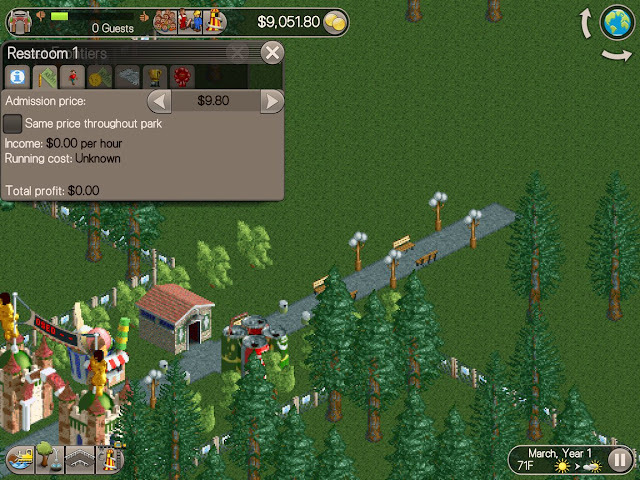 It gives people the ability to live the dream and manage a theme park, and the imbues the more dry elements of simulation games (handling the economics and performance of the park), with charm to give the game a lighthearted spirit; this game isn’t just about showing rides down on plots of land then raking in the cash. Instead, it’s about watching the silly little people that come to your park eat a burger right before getting on a rollercoaster, and then barfing everywhere when they get off. It’s about building coasters so fast that it sends the little people flying off in all directions. It’s a game in which if a customer is unhappy, and ruining your park’s good reputation, you can pick the guy up and throw him in a lake to drown. Yeah, I’d be awesome managing a theme park in real life. That charm aside, RollerCoaster Tycoon is also not a cakewalk. Staying profitable is a real challenge when you’re tasked with keeping rides maintained, pathways clean, people entertained and vandalism down. Building new rides is expensive, but of course you’ll need to to draw in bigger crowds. You can try and fleece your customers by charging them $10 to visit the bathroom, but realistically if you want your park to succeed you’ll also need to keep costs (theirs, not yours) down. You’ll never seem to have quite enough money to do what you want to, and while taking out a loan is another option, loans need to be repaid. The reward for doing well is that you’ll see your park slowly fill up with people, happily lining up for rides and spending big on mini pizzas. This reward has lessened somewhat in the years since the game’s initial release, as it’s not exactly an attractive game by modern standards, but there’s still the cerebral thrill in knowing the decisions that you’ve been making are coming off. There’s a lot of superficial design elements you can add to the park too; things like statues, flower beds, and water fountains, and though the art is primitive, there’s still a thrill to having a carefully manicured park filling the space. RollerCoaster Tycoon eschews a free-create mode to instead provide players with dozens (and dozens - 95 in total) of scenarios to work through. At first they’re really quite straightforward; just get a certain number of people into the park by a certain year, and make sure the overall customer base is at a certain level of happiness. In the absence of proper tutorials, the fact that the first couple of scenarios are almost impossible to actually fail is enough to give you a good introduction to the game’s various systems. It doesn’t take long for the challenges to start ramping up, though. In some scenarios you’ll be stuck with dud rides from the outset and you’ll need to make use of what limited space is left to build stuff that people will want to see. Other scenarios will require you to rapidly improve the value of the park. Others will have even more difficult challenges and obstacles. Good luck working through the 95 scenarios; you’ll be playing this through most of 2017 if you try and do that, and the absence of a free-build mode isn’t really felt as a result. If that’s not enough there’s three pieces of completely optional DLC that adds in even more content. Two of the DLC packs add more scenarios to play through, and are really only for the diehards. The third, however, is a toolkit, allowing you to create and share your own scenarios and rides. 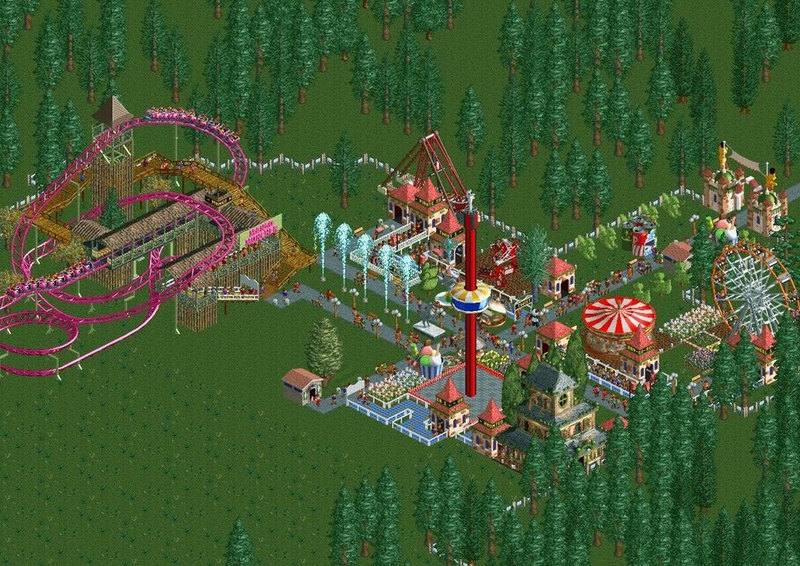 What’s more, you’re able to download most of the content that has been created for RollerCoaster Tycoon 2 over the years. 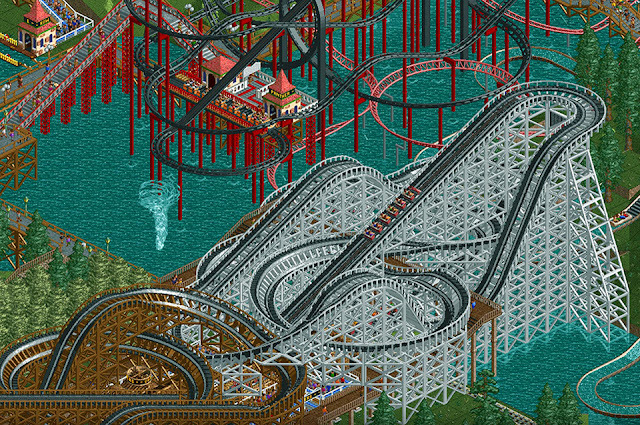 That, I shouldn’t need to tell you, gives the game near unlimited replay value, and it’s always fun to experience the creativity of a community… especially one that is as passionate about their game as the RollerCoaster Tycoon community has been (and still is). The iPad is a natural home for games like RollerCoaster Tycoon, and it’s a source of real irritation to me that developers and publishers continue to dump free-to-play nonsense on there in the absence of real simulation games. Sim City’s free-to-play title on iOS is an utter travesty, and while it’s easy to point fingers and yell at EA, there’s also no Tropico or Cities: Skylines game on iOS either. 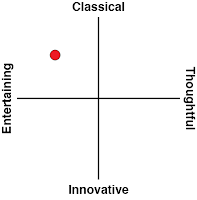 All the developers are letting us down with this genre. The only simulation games of note on the platform are Transport Tycoon (which is brilliant), and RollerCoaster Tycoon 3, which is also brilliant. This, however, is the best of the lot, offering much more content and simple systems that are perfectly balanced to be both accessible for the new player, and deep enough for the simulation veteran. Related reading: The other great simulation game on iPad is Transport Tycoon. 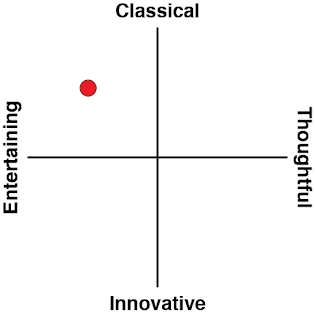 Matt's full review of that one. As I wrote at the start, it’s difficult to shake the feeling that Atari’s management felt guilty for foisting the hellishly bad free-to-play Rollercoaster Tycoon 4 on fans, and RollerCoaster Tycoon Classic is its apology for doing so. This is an excessive game with almost too much content and replay value, and is devilishly difficult to put down once you start playing.